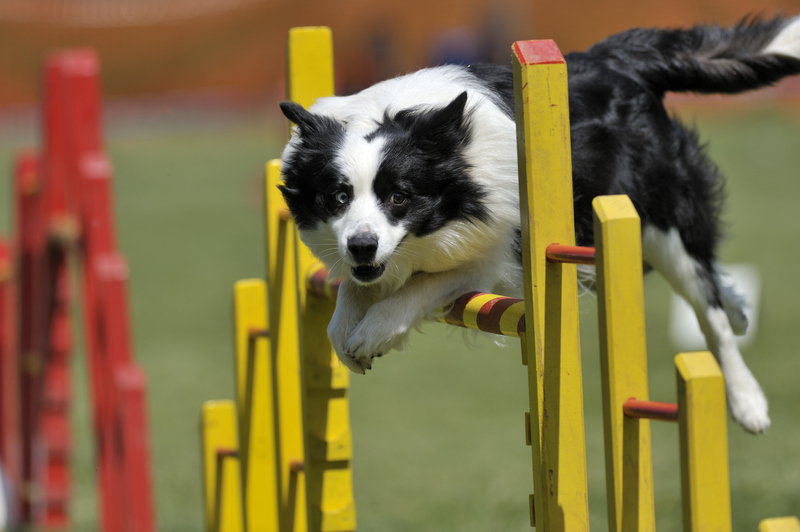 Our five-week, Intro to Dog Agility class is designed for dogs of all sizes and skill levels. Learn how to help your dog navigate agility obstacles that include weave poles, A-frame, 8ft dogwalk, pause table, seesaw, tunnel, tire jump, and single bar jump, while having a great time together! This class helps to build the lines of communication between you and your dog through training while learning a new sport together. At the end of the course, we will hold a class competition with a trophy awarded to the winner! 4-6 foot leash, collar (dog must not be able to slip out of the collar), treats, and a copy of your dog's vaccinations. Retractable leash, any type of harness or headgear, children under the age of 9. Athletic style attire and shoes. You will be running in this class! Dog age: 6-months or older. Social with all people; strangers can hold the leash. No reactivity with other dogs moving in close proximity. Can perform the commands Sit and Down for 30 seconds.